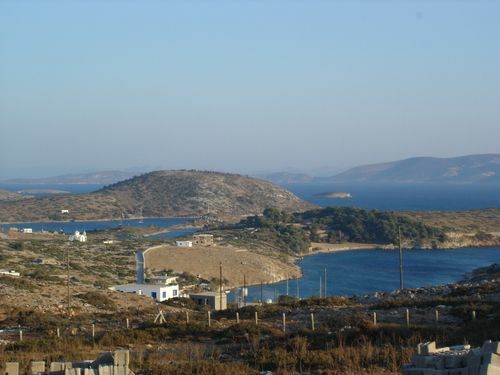 Arkioi is a little isand with approximately 40 inhabitants. 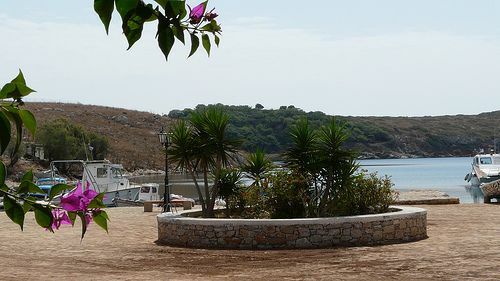 It's main settlement and port (Augusta) is very small but attracts many yachters because it is unspoilt, picturesque and has two traditional tavernas with serving nice food. 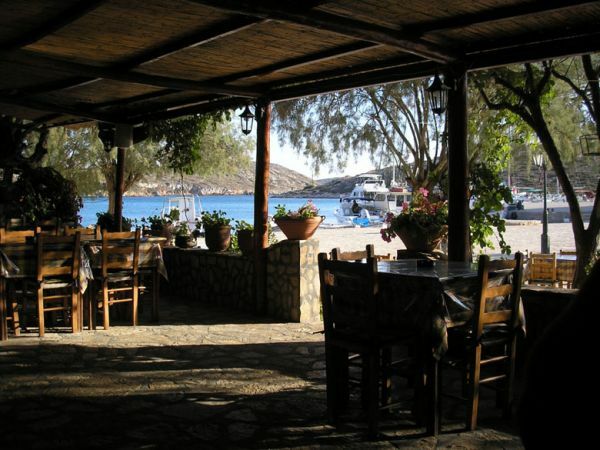 There is another taverna in the near by bay and anchorage named Steno (see separate listng). 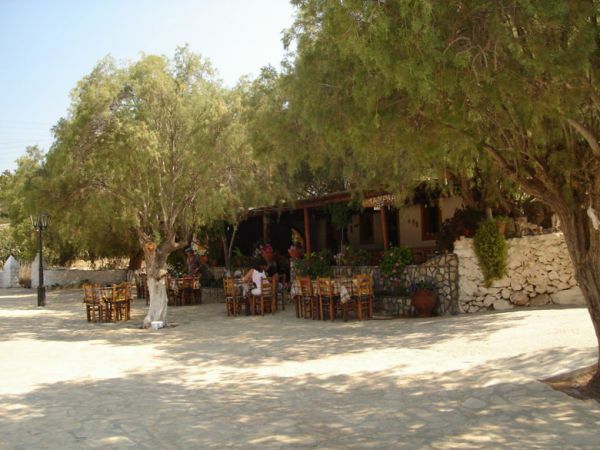 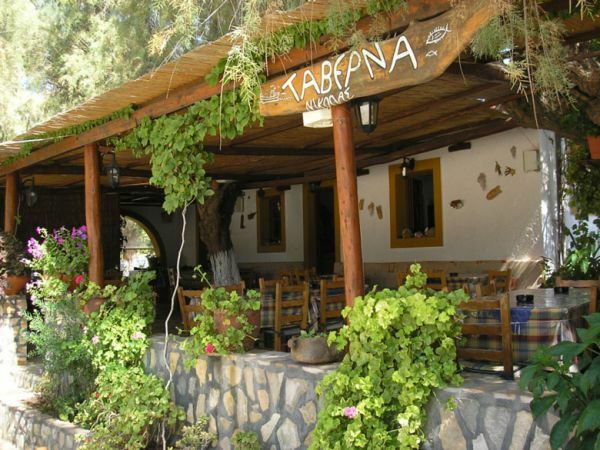 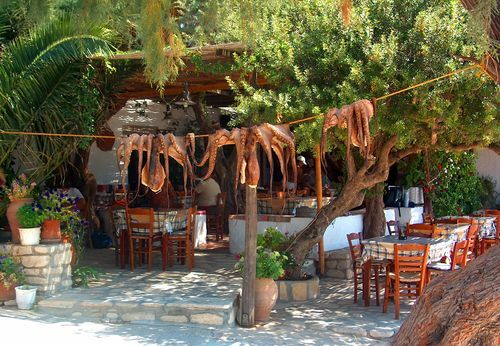 Eating in Arkioi's tavernas is a must for all boaters. 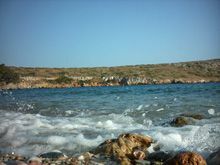 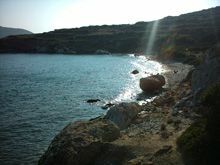 Near Augusta there is a descent beach named Patelia. 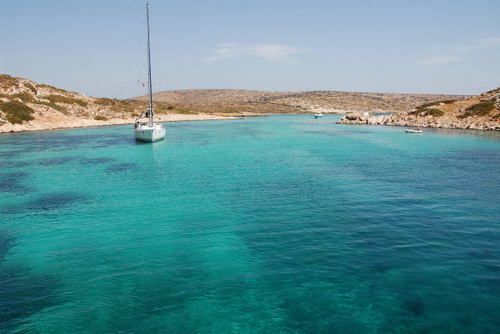 However everyone who has a boat goes either to the superb Tiganakia or to the pisturesque and protected Marathi islet for swimming (see separate listings). 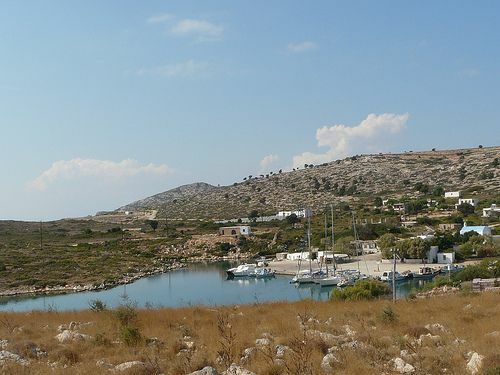 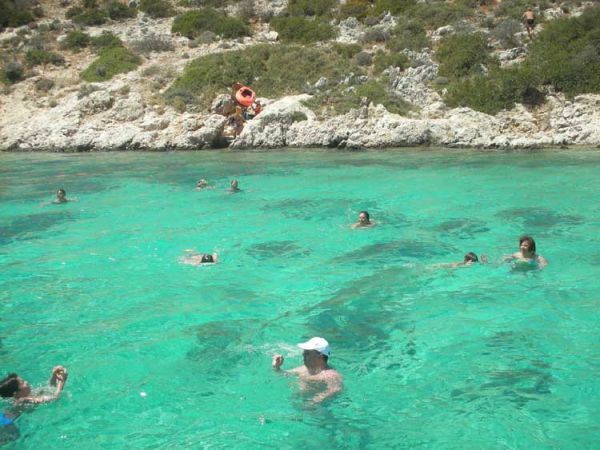 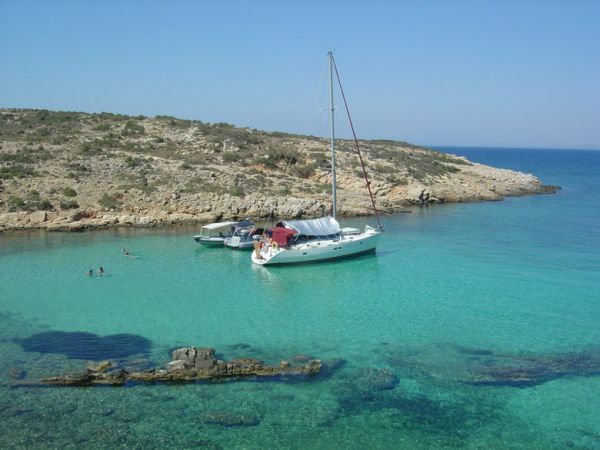 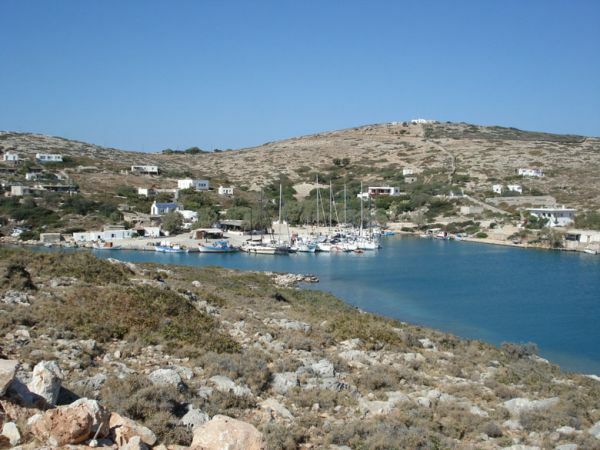 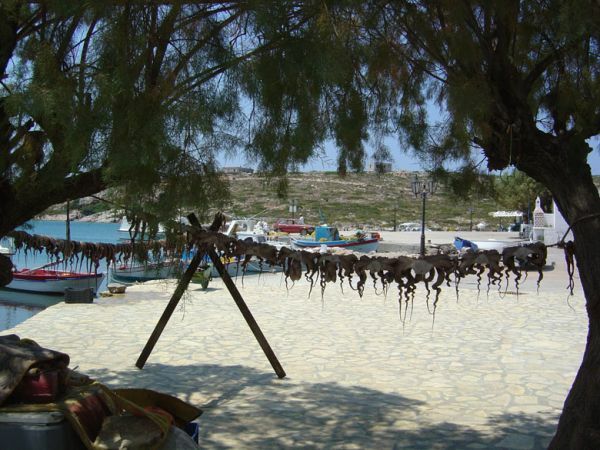 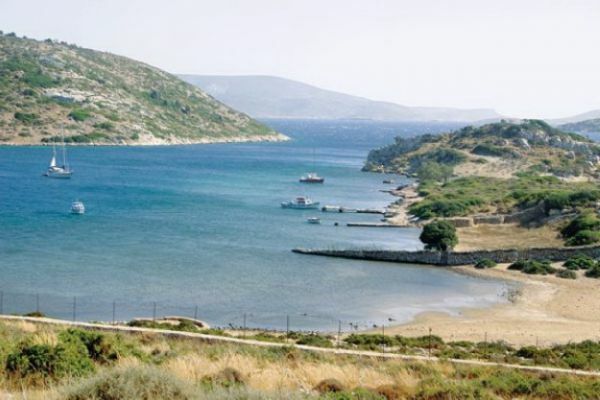 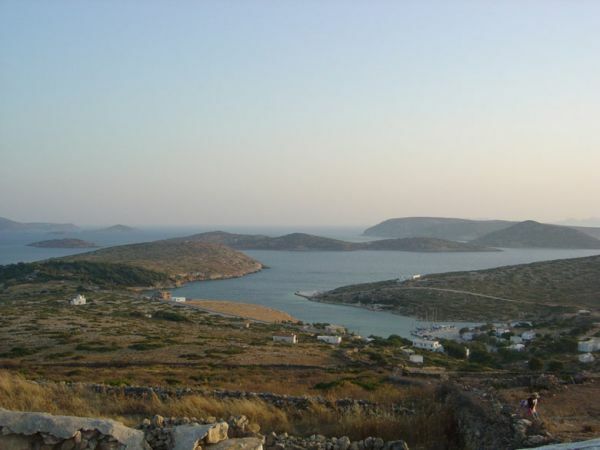 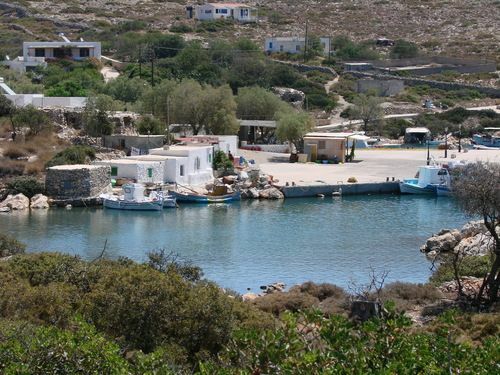 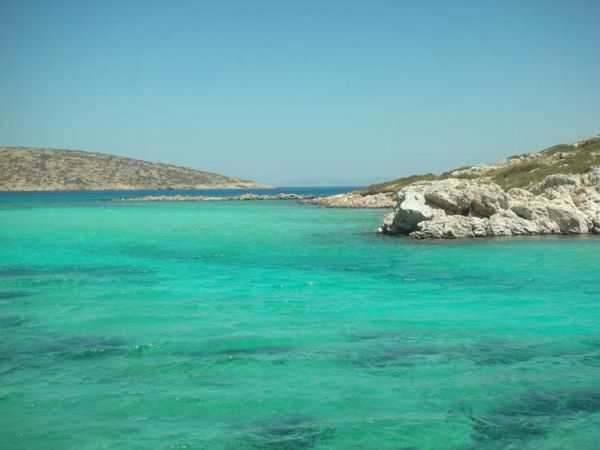 MOORING INFO: The small port of Arkioi (Augusta), is in a deep bay, very well protected from almost all winds. 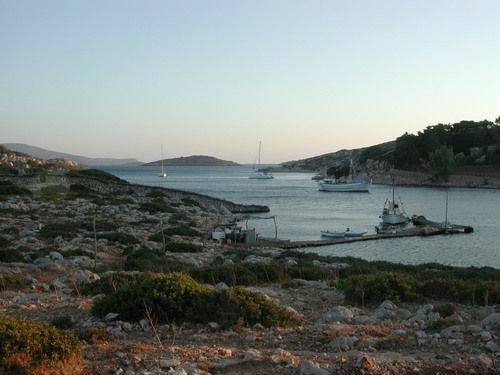 It is locaed in the SW of the island and serves as the island's main harbour, where the ferry docks. 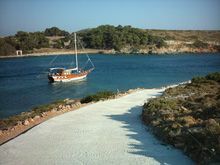 There is a light at the entrance, and a small quay. 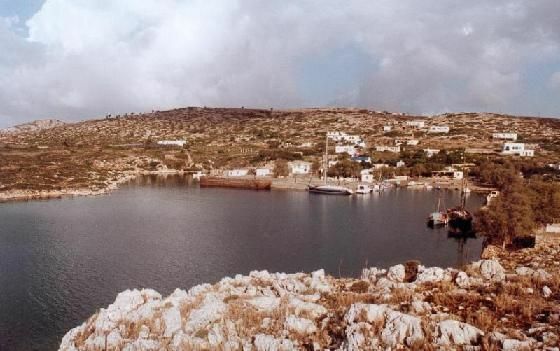 where one can moor. 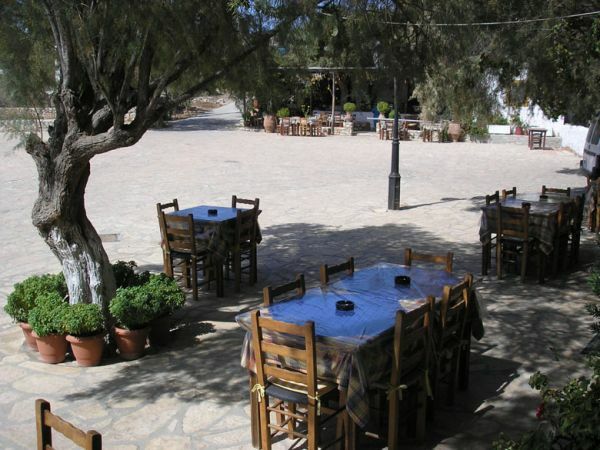 In the high season it is quite difficult to find a place.